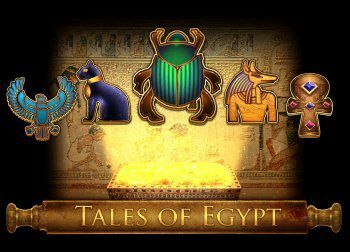 The Tales of Egypt slot is a wonderful game by Pragmatic with 20 winning lines. Play Tales of Egypt where the Egyptian society achieved amazing things throughout antiquity. Keep an eye out for the two Wild symbols and decipher the hieroglyphs in the “Raiding the Pyramid” free spins round to uncover the treasure of the pharaohs. When at least 3 scatter symbols appear on the screen, the free spins round starts. Before the round starts, the system will randomly select one of the character symbols (one of the 4 highest symbols), which, during the round, will have a scatter like behaviour. The Scatter symbol, beside triggering free spins, acts like a wild (substitutes for all symbols).